And we think pretty highly of him. 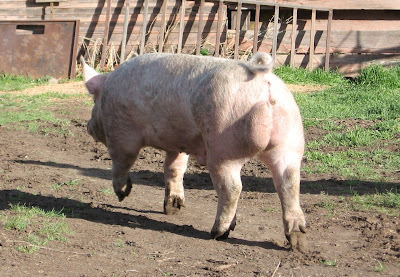 I apologize, because most of you who read this blog aren't in the market for a pig. But this is an easy way to share videos and pictures with those who are. Fear not...your time here was not wasted. 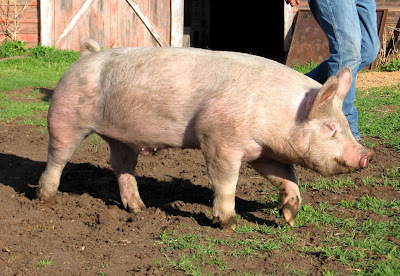 "I am very proud to be called a pig. It stands for Pride, Integrity & Guts." Here's to a little more PIG in our lives. If that is a little pig it leaves me wondering what a big one is? Have a great day! Sweet little piggie ... does Karl want it? ?